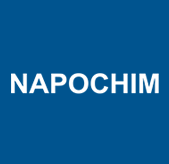 NAPOCHIM is one of the leading manufacturers of plastic products in Romania with a product portfolio that extends from kitchen items, household, bathroom or garden to construction products and industry. The company’s history begins in 1949 since than growing continuously, gaining technological expertise and experience in the plastic industry. The last two years have meant for our company a new phase of technology and all departments renewal, actions that led to the development of new groups of products such as garden furniture, waste management (garbage bins), extruded profiles and a new range of flower pots. These projects were created in order to respond better and promptly to customer’s needs and to increase diversity and attractiveness of our items. Napochim's mission is to meet the needs of the domestic market of plastics products, from kitchen, household, bathroom or garden to packaging and construction and industry products, by continually adapting to consumer needs and by harmonizing with new trends on market. Sectoral Operational Program "Increasing Economic Competitiveness", "Investing for Your Future"
Title of the project: "DEVELOPMENT OF A BUSINESS INFRASTRUCTURE FOR THE PRODUCTION OF PLASTIC ACCESSORIES FOR FURNITURE"